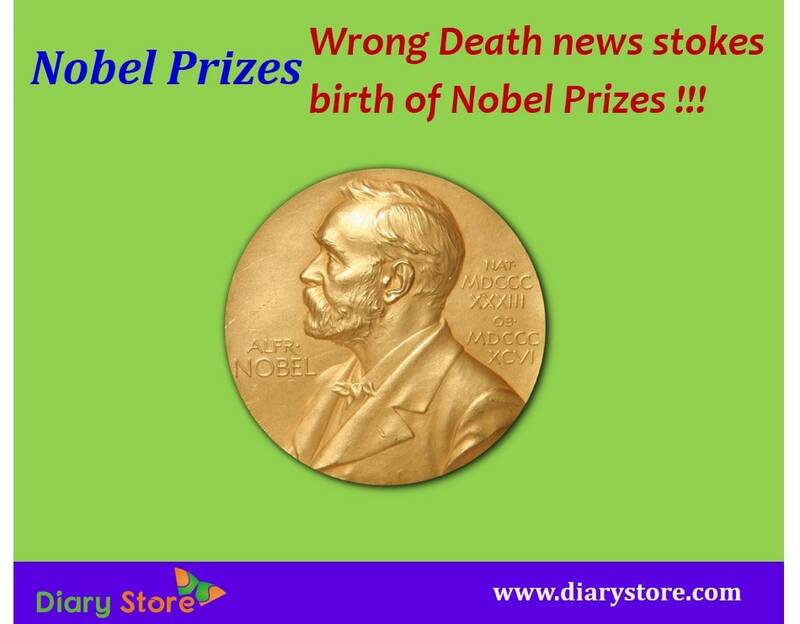 Nobel Prizes: Wrong Death News Ushers Birth of Nobel Prizes !!! Nobel Prizes: Wrong Death News Ushers in Birth of Nobel Prizes !!! Yes ! You heard it right !! Nobel Prizes stand at the apex of fame & prestige and they are the highest awards in the world one can ever get for supreme talent in the fields of science, humanities, literature, medicine and in social service. Across the world scientists, scholars, economists, poets, novelists, political personalities whose works have been recognized as of supreme utility for the benefit of mankind are awarded Nobel Prizes every year. The tradition of conferring Nobel Prizes has a luminous track history of 116 years. Among the Nobel Laureates, India too enjoys the pride of having given birth to scholars of academic brilliance, poets of unparalleled caliber and distinguished philanthropists. Does the death knell echo the birth? Does an end poke a beginning? The reason for establishment of Nobel Prizes appears too silly to reckon with. Let us see how a mistake in a newspaper has led to creation of the Nobel Prizes. It all began when Mr. Alfred Nobel, a Swedish chemist who was the inventor of the present day common explosives viz., dynamite, gelignite (used in mining) and ballistite which is still used as a rocket propellant today had happened to read his own obituary in a newspaper, much to his shocking surprise and disquietening chagrin! With enormous wealth made from these inventions and a plethora of 355 related products he created, he bought an engineering company called Bofors which eventually was turned into an arms manufacturer. His prosperity continued to flourish as he made his company as a source of cannons and guns designed by himself for potential buyers around the world. Subsequently his brother Mr. Alfred Ludwig died in 1888 when he went to pay a visit to France. Mistaking him as Mr.Nobel, a French Newspaper came up with a news item with the heading “ The Merchant of death is dead”. Peeved by the unpleasant false announcement, Mr. Nobel had sunk into a deep valley of gloom. He began to hate the very idea of being remembered by people as a carrier of mass destruction who would bring in quicker colossal catastrophic death to mankind. He disliked the fact that he was labelled as a presage of death by way of his inventions, rather than a reputed scientist. The very purpose of his inventions was being viewed down with wrong notions, he realized. A strong urge prompted his mind to take a corrective step to wipe off his bad image portrayed in public. In 1895, he got the legal document of his testament re-drafted to ensure that 94% of his ocean of wealth (equivalent of Rs.1636 crores at current rates) was to be given away every year in the form of awards to deserving luminaries of outstanding contribution for the welfare of humanity. A year later, he died in peace with the satisfaction that he would be remembered as a philanthropist genuinely determined in the weal and welfare of mankind. However his family members did not accede to the formation of a foundation in terms of the testament. Their endeavours failed and proved futile as the local laws did not allow them to go against the will of Nobel`s testament. The foundation was established in accordance with the terms stipulated in the will. The prizes had begun to be awarded since 1901. ​Initially, the Nobel models were made with gold of 23 carats. Presently, they are electroplated with a layer of 24 carat gold on the surface of 18 carat gold metal. Recipients of Nobel Prizes are revered as laureates. The word "laureate" has been adopted inspiringly from the circular ornamental headgear (tiara) worn by Greek God Apollo. In the early years, Nobel prizes were given in the fields of physics, chemistry, literature, peace and medicine. The award for economics had come to be added in the year 1968. The prize for economics was instituted with the funds given by Sweden Central Bank meant for people who put in assiduous efforts in economics. It is common that Nobel Prizes are shared by two or three people for their collective work. But Mr. Linus Carl Pauling, an American Scientist holds the record of winning an unshared Nobel Prize in chemistry. Winning Nobel Prize at least once in a lifetime is a very hard achievement. Mr. Linus Pauling happens to be a rare personality to have won the Nobel Prizes in two different fields (chemistry & peace), the other being Madame Marie Curie (physics & chemistry). Mr.LeonidHurwicz, a Polish American economist, is the oldest individual to receive the Nobel Prize in economics at the age of 90 in 2007; and the youngest recipient is Pakistan`s Malala Yousafzai when she was 17 in 2014.
International Committee of Red Cross, ICRC, won Nobel Prize for peace three times (in 1917,1944 & 1963) in non-individual category. This is a record in itself for having won maximum number of times till today. The founder of ICRC, Henry Dunant too got the Nobel Prize for peace, who bears the distinction of being the first Swiss Nobel laureate in 1901, sharing it with the French economist, Frederic Passy. Nobel Prizes are presented on 10thof December every year, in commemoration with the death anniversary of Alfred Nobel. It is not compulsory that Nobel Prizes should be given every year in all the disciplines. If nominated candidates are found to be not adequately deserving, the Nobel Committee reserves the right not to allot the prize in any discipline. Going by the same practice, Nobel Prizes were not given and skipped 49 times so far. During the span of 116 years since its establishment, 48 women were awarded. As per the rules of the Nobel Prize Committee, Nobel Prizes are not given to people who are not alive. The list of prize winners is kept under wraps till the last moment of official announcement. As the committee could not keep itself informed about the health status of the Canadian immunologist Mr. Ralph M. Steinman,the Nobel Prize was announced for him three days after his death in 2011. Mahatma Gandhi was nominated for Nobel Prize for peace five times. When his name was proposed for the fifth time, he was assassinated in 1948. Hence, nobody was given the Nobel Prize for peace for the year 1948. The pecuniary value of the Nobel prize varies every year. The monetary awards are allotted from the total annual income accrued by the funds of Nobel Foundation. Its present value stands at SEK 9 millions (Swedish Kronor) or USD 1.1 millions or Indian Rupees (INR) .7.2 crores approximately. 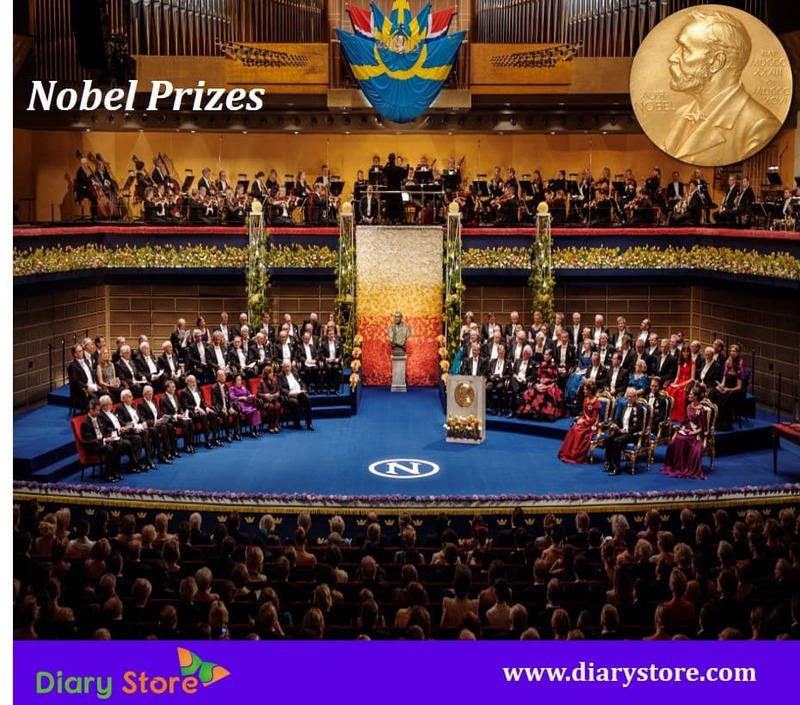 All Nobel Prizes are presented to the awardees in a grand ceremony in the Sweden Capital city Stockholm, with the exception that Nobel Prize for peace is given by the Norwegian Nobel Committee in the city Oslo, the capital of Norway. While Indians feel elated at the fact that so far five Indians won Nobel Prizes, it is worth of a mention here that the single family of Madam Marie Curie was honoured with four Nobel Prizes. Marie Curie won two Nobel Prizes in physics & chemistry (in 1903 & 1911 respectively), her husband Mr. Pierre Curie received one in 1903 (in physics), her daughter Irene Curie and her son-in-law shared (for chemistry) in 1935. At the age of 62, Alfred Nobel set up his foundation in 1895, just one year before his actual death to spread his true ideals to the world. He successfully obliterated his earlier wrong image attributed by a few people. He proved beyond doubt to the world that it is never too late to reform oneself for the betterment of mankind and a person`s age is never a barrier to shine like a luminescent great soul.